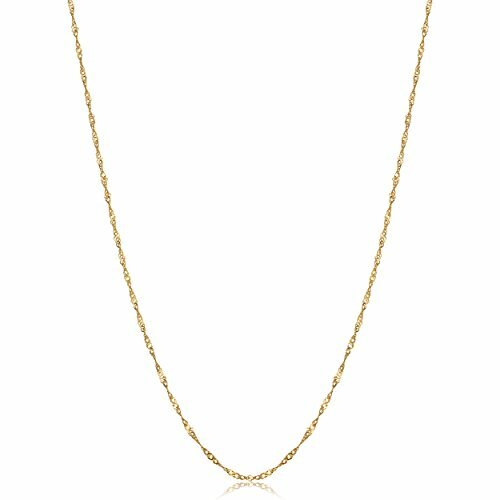 This classic gold singapore chain is the perfect treat for the true yellow gold lover. This lovely necklace is beautifully crafted in yellow gold and finished with a comfortable spring ring. A plus for every jewelry collection. If you have any questions about this product by Kooljewelry, contact us by completing and submitting the form below. If you are looking for a specif part number, please include it with your message.